BEM (Blood Elf Mage) is now available here!!!! Levadune's Lair is an event dungeon that consists of only 1 Stage with 2 Pumpkins or instead of a pumpkin a BEM and Levadune himself. 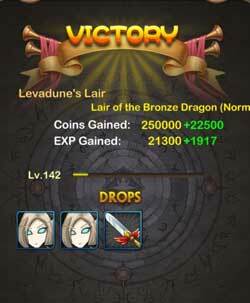 This can be extremely difficult to defeat due to the Heroes having MASSIVE HP. This dungeon is only available on Tuesday, Thursday, Saturday and Sunday for 2x completion each day. 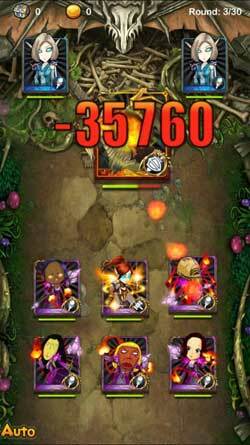 Suggested formation should include all Magic based attacking Heroes and Qriest close to MAX as possible with full equipment as Levadune is weak against Magic Attacks. 3 Single DPS like Warlock and FC, CL and Shaman to take out Pumpkins, and Qriest to heal.